Old Possum’s Book of … Andy Warhol’s Cats? THE DAILY PIC: Strange bedfellows of 1957: A 'Sports Illustrated' feature on T.S. 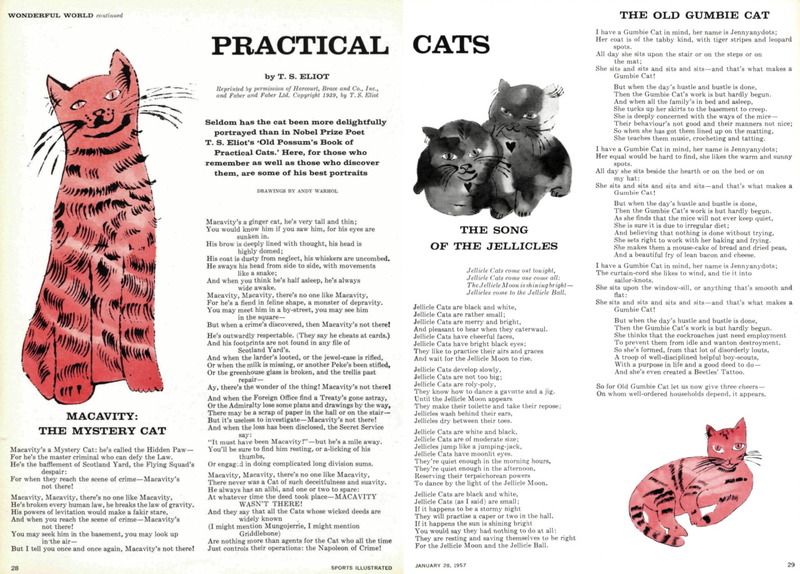 Eliot's cat poems with illustrations by Warhol. And now that Warhol started the ball rolling, it’s pretty obvious that the Eliot and Warhol estates had better join forces to illustrate the remaining poems in Old Possum’s, using some of the rest of Warhol’s cat pictures.